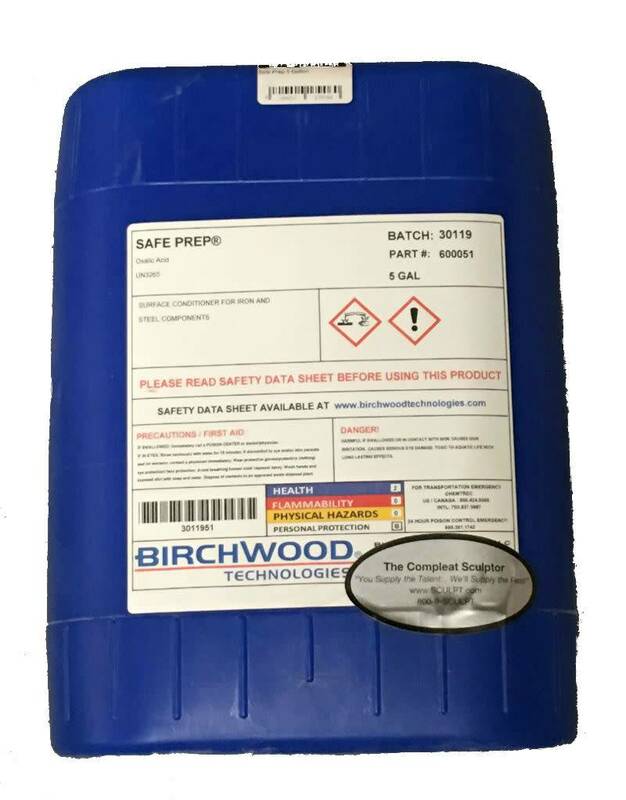 SAFE PREP® Surface Conditioner is a special acid activator that prepares the surface of iron and steel parts prior to blackening in PRESTO BLACK® room temperature blackening process. Supplied as a liquid concentrate, SAFE PREP® concentrate is mixed with water and operates at room temperature to coat the metal surface with a thin, gray primer coating that prepares it for blackening. CLEAN the parts to remove oils and shop soils. For lighter oils and soils, use SAFE SCRUB® ST biodegradable liquid cleaner, mixed at 20% by volume and operate at 150° F. Typical immersion time of 8 minutes. For heavy-duty cleaning, use PRESTO KLEEN® HP, mixed at 8 – 12oz/gal and operated at 150° F. Typical immersion time of 8 minutes. RINSE in clean tap water; 30 seconds. 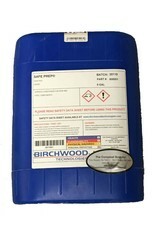 PRIME/CONDITION SURFACE in SAFE PREP® solution at room temp; Typical immersion is 1 – 2 minutes. BLACKEN in PRESTO BLACK solution; Room Temp; 1-3 minutes or until parts are uniformly gray/black in color. SEAL in DRI TOUCH® AMBER IRP2 non-tacky rust preventive for a soft, waxy finish or other appropriate rust preventive topcoat.